Wandering around after the trip to Nankin-Mills we hit the Westland Historical Park in search of more cool images. Their pride is a beautiful Octagon house which was really enjoyed. 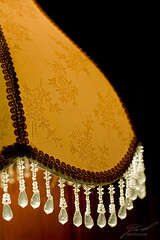 In the living room were some wonderful lamps with these great lamp shades.